show her I love her? Where should I book a dinner reservation? Or should I cook? What will I make? What if I burn it? What if I burn the whole house down? Do we have a fire extinguisher? Clearly if you’re reading this, you have already started the panicking process. But don’t worry – we’ve got you covered. We’ve mapped out the perfect Cape Cod romantic two night getaway itinerary. While roses and chocolates are lovely, our itinerary passes on tired cliches and focuses on what is truly important – spending quality time together relaxing and enjoying being pampered. And don’t worry – you can pass it off as your own ideas. We won’t tell! Travel to the Captain’s House Inn, but don’t forget to stop for lunch on the way. 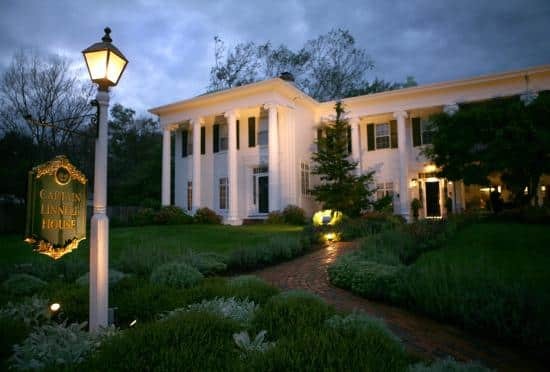 We suggest the Old Yarmouth Inn on historic route 6A where you can dine fireside in their cozy pub and kick-start the romance! For a more scenic route, continue East on route 6A, admire the old sea captain’s homes, and maybe pop into one of the many pottery or antique shops dotted along Old King’s Highway. 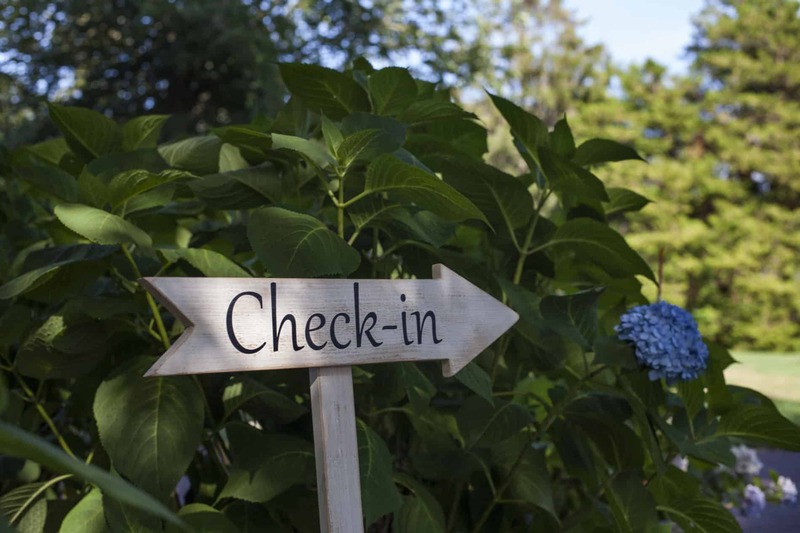 The moment you arrive at the Captain’s House Inn, you know immediately you are in a special place. Set back from the main road, the estate sprawls two acres and you are greeted by one of our very attentive British interns. If you arrive between 3:00 and 5:00, take advantage of our complimentary cream tea. Swing by the dining room and help yourselves to homemade pastries, scones, tea cakes, and tea cookies. Enjoy your treats with a pot of tea or perhaps a glass of bubbly, wine, or craft beer. Retire to one of our beautifully appointed guestrooms and relax fireside with a book, or perhaps take a soak in your Jacuzzi tub. You might also cuddle into our luxurious linens and watch a DVD from our extensive movie collection. For dinner, we suggest staying in downtown Chatham for your first night. 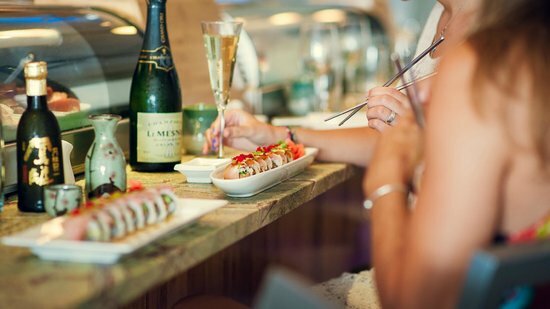 Bluefins Sushi and Sake Bar is our personal favorite. Feast on fresh fish locally caught that day, or for those who prefer their food cooked, try their gourmet burger or a Korean inspired noodle dish. The Impudent Oyster and Del Mar Bistro are other fantastic options just a five minute drive from the inn. Try a thin crust pizza at Del Mar, or, for an aphrodisiac, slurp down a few local oysters at the Impudent Oyster! Still feeling a little thirsty after your meal? The Squire or the Red Nun are local watering holes perfect for a night cap before retiring to your cozy quarters back at the Captain’s House Inn. 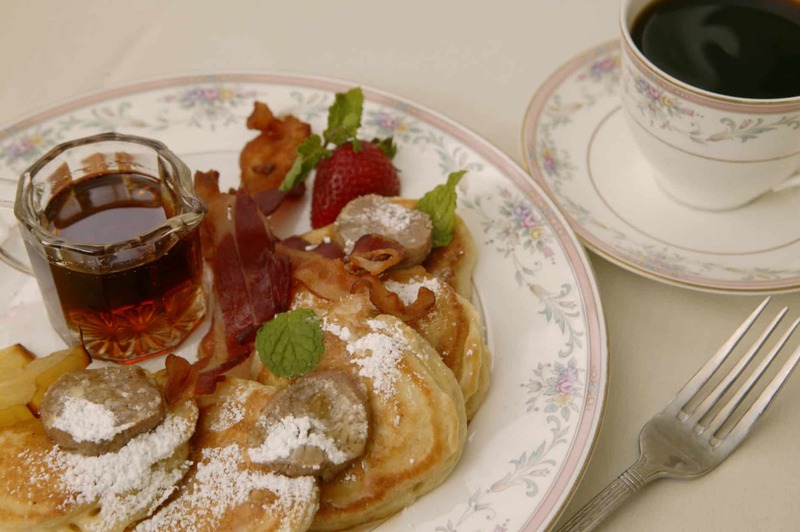 savory or sweet entrees like Eggs Italiano or Apple Dollar Pancakes to fuel you for the morning. Treat yourself to a mimosa or sake bloody Mary. It’s 5:00 somewhere! Depending on your mood, Cape Cod in the winter offers a surprising number of options to fill your day. 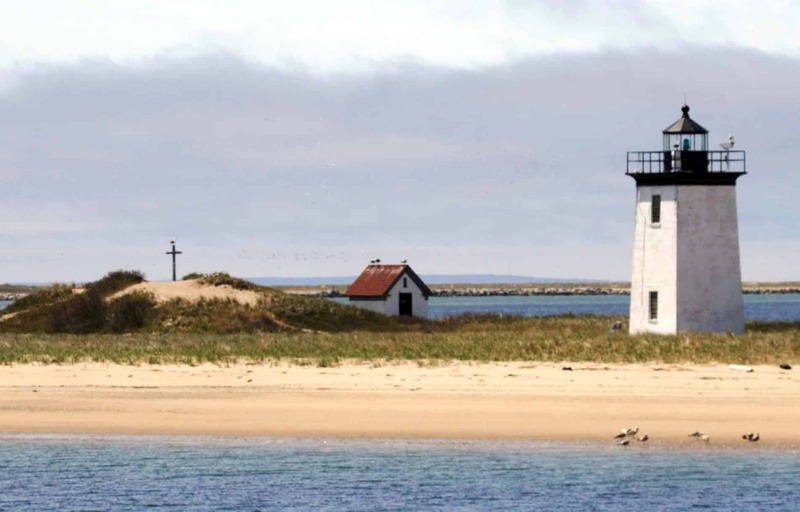 Bundle up and stroll along the shoreline at Monomoy Wildlife Refuge, check out Chatham Lighthouse and head to the beach where you can often see seals bobbing in the Nantucket Sound. Pop into the many shops that line Main Street – don’t miss the Candy Manor for those with a sweet tooth! 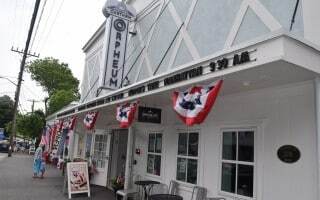 Take a drive up north through Orleans, Eastham, Truro, and ultimately the eastern-most part of the United States, Provincetown. Along the way, stop at one of the many National Seashore beaches and if you’re feeling particularly hearty, hike a trail at the Visitor Center. A little peckish on your way back to Chatham? The Hot Chocolate Sparrow in Orleans is a favorite year-round stomping ground where you can enjoy light sandwiches, ice cream, homemade confections, and of course, hot chocolate! If you find yourself back in Chatham mid to late afternoon, try to catch the fishermen bringing in their catch at the fish pier, just 1/3 mile from the inn. not your typical cinema – the original theater opened in 1916 and operated for 72 years before shutting down and becoming a CVS pharmacy. After years of fundraising, the two screen venue reopened its doors in 2013 and has been a favorite pastime for both locals and tourists. The adjacent cafe offers a full menu and bar and all food and drink can be packed to enjoy in the theater. is an ideal spot for a romantic dining experience. Housed in (yet another!) old sea captain’s home, the restaurant offers fine dining with traditional dishes to please all palates. Buca’s Tuscan Roadhouse and the Cape Sea Grille, both in Harwich are also excellent, romantic options open more frequently throughout the week. For carb addicts, Buca’s bread is unparalleled. Their Northern Italian cuisine is authentic and their homemade desserts are worth every calorie. For more “coastal” fare, the chef-owned Cape Sea Grille features options for seafood lovers, vegetarians, and carnivores alike. If you saved a little space for one last treat, swing by the kitchen back at the inn and help yourself to coffee, tea, hot chocolate and cookies. Then settle into a deep food coma and dream of breakfast the next morning. It’s a sad day when you know you have to head back to reality, but enjoy every minute of your last hours on the Cape. Take a last soak in the tub, indulge in breakfast, and pick up a set of those luxurious sheets at our gift shop before hitting the road. Don’t forget one last stop, though, to really bring on the romance. Surprise your partner with a detour to Sol Spa, just around the corner from the inn. A couples massage is the best way to cap off the perfect getaway and send you both home relaxed, romanced, and maybe even a little more in love! This entry was posted in Itineraries and tagged romantic getaway cape cod, romantic valentines getaway, Valentine's Day Cape Cod, Valentine's Day ideas, Valentine's Getaway by admin. Bookmark the permalink.